Masahiro Tanaka had another great outing, as he went six shutout innings, allowing 3 hits and 2 walks, with 8 strikeouts, to improve to 9-2 on the season. The Yankees got on the board in the first on a Gleyber Torres RBI single and made it 2-0 in the second on a Didi Gregorius RBI single. Miguel Andujar hit a three-run homer to give the Yankees a commanding 6-0 edge in the fourth. Paul O'Neill hit a solo home run in the first to give the Yankees an early lead, but it was all Seattle after that. Seattle got a run in the second, and then two in the third, with Jay Buhner getting an RBI single to make it 3-1. In the fourth, Ken Griffey, Jr., had an RBI single to make it 4-1, and then after the Yankees cut it to 4-3 in the seventh, Buhner put it away with a two-run shot to make it 6-3. David Cone took the loss in this one, as he allowed 6 runs on 9 hits and 4 walks, with 11 strikeouts, to drop to 15-4. 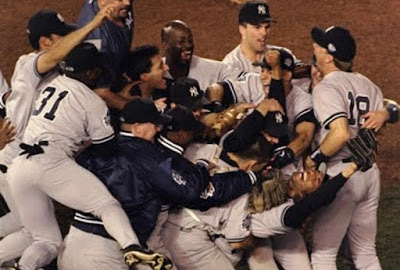 Where they stand: The 2018 Yankees (68-37) are now nine games off the pace of the 1998 team, which was 77-28 through 105 games. Thanks for the auspicious writeup.The writing work is remarkable, and I am so pleased that you were able to share this article here. Your article is very interesting. I think this article has a lot of information needed. I may learn knowledge from them. I can't help reading your posts.